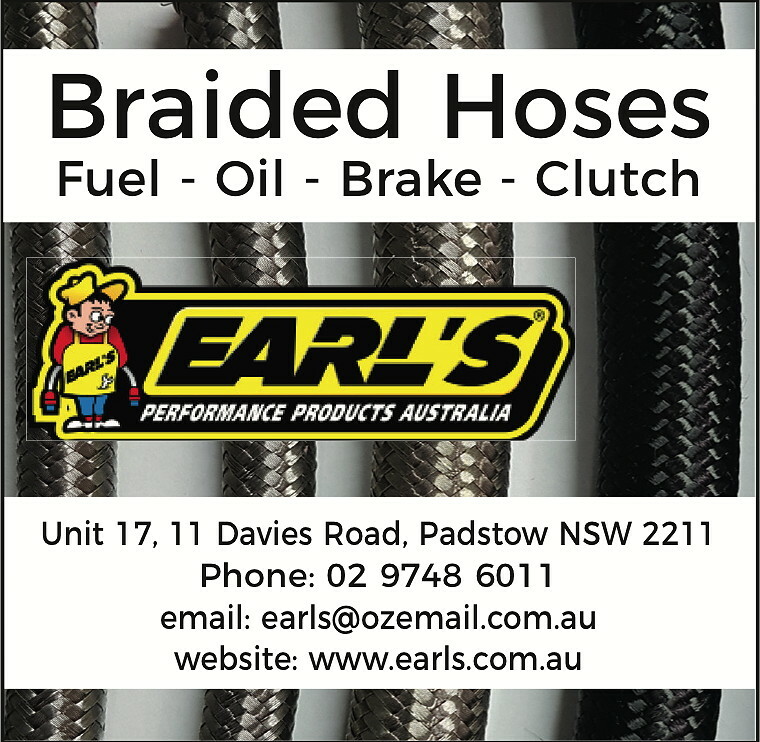 WE WERE asked to build a factory custom bike for the Drag and Brag meeting at Eastern Creek. 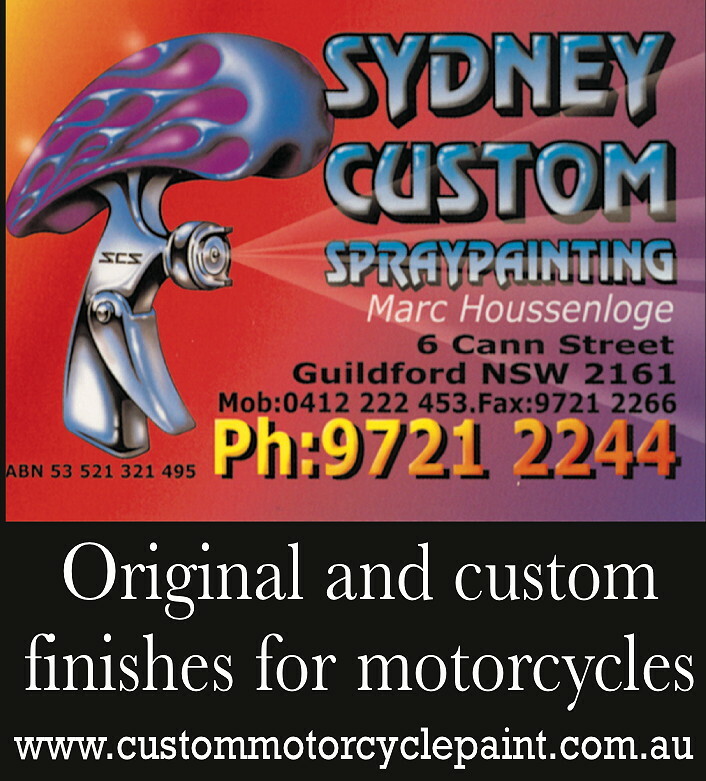 It was to be a competition between the four Sydney Harley dealers. We sat down and thought about what style of bike to use. 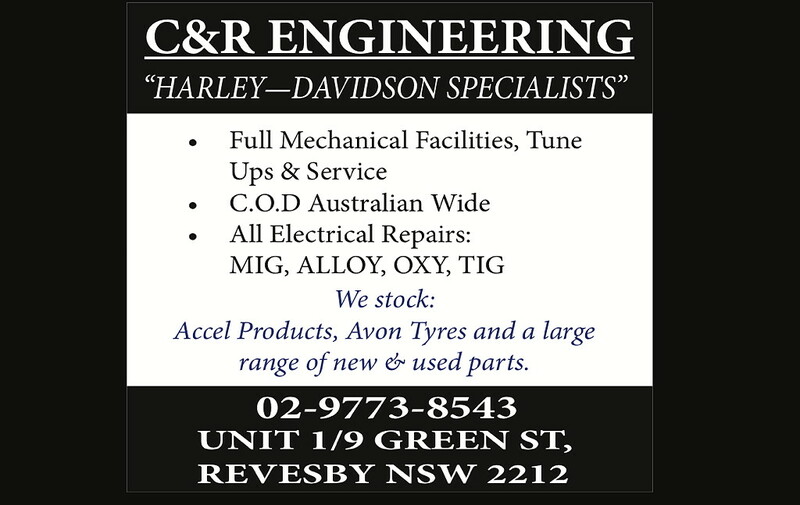 A lot of our customer work involves fabricating parts, but with this particular competition, you couldn’t fabricate anything; we could only use Genuine Harley parts. The only variation was the paint job and a set of pipes which could be aftermarket. We decided to do the Captain America bike from the movie Easy Rider as it’s an icon in all motorcycling aspects. Everybody can recognise that bike. We started with a Softail Custom, and we basically changed everything — the wheels, handlebars, brake lines, chrome lower legs. We fitted a retro style seat and sissy bar, a lowering kit to give it that stance. So, basically, we gave it every accessory you could throw at it to give it that vintage, nostalgic look. We had a budget of $50,000 and we came in around $47,000, so it was under-budget. We call it the Easier Rider. Obviously, being a Softail, it has rear shocks rather than the original Captain American bike which had a rigid frame. As far as the engine goes, it’s still the factory motor with an air kit, Race Turner and the fishtail pipes — you could ride that bike from here to Queensland and back and not have a problem. The 16 inch ape-hangers are a new product from Harley-Davidson which allowed us to go a little higher for that custom look, and obviously all the cables are there to suit. Also, they give you an extension wiring kit and we internally wired the bars to give it a smoother look. 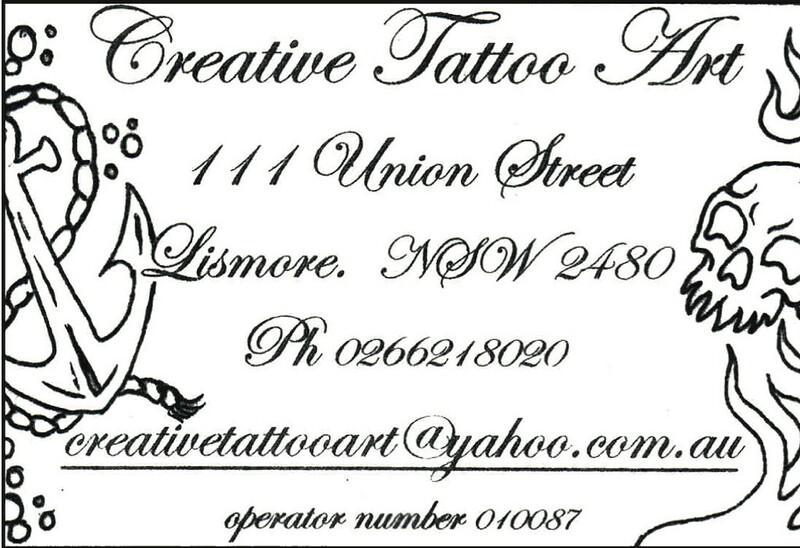 Joe Webb is a brilliant artist who does a lot of custom work for bikes, boats, cars, and has won hundreds of trophies. We spoke to Joe and he was pretty excited about doing something on the Captain America bike theme. He showed us some ideas — the eagle tearing through the flag, etc — which involved combining American eagles and Screamin’ Eagles. The final result is sensational. 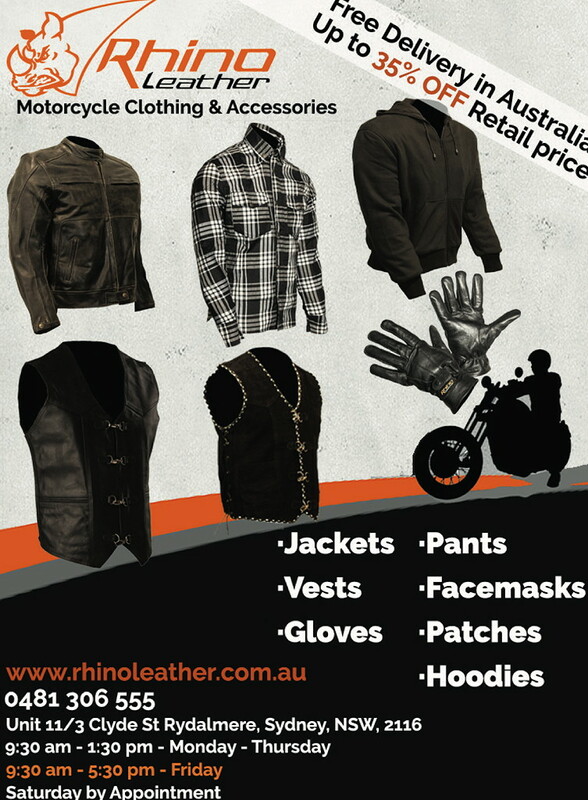 We do quite a bit of customising work at Blacktown Harley. That’s something every single one of us has a passion for. We all have bikes and they have all have been customised. Whenever someone mentions customising, you can see the guy’s eyes light up. When someone comes in the shop, sometimes they bring a photo of a bike they saw in a magazine or a show, we try and accommodate what they are after. It doesn’t matter how big or small or difficult it is, we still try and get there one way or another. We try and think of new ideas all the time, and we work with a good fabricator who he is always coming up with new ideas. But, there is a limit. Our number one priority is that they are still rideable — that someone can hop on them and ride across Australia. 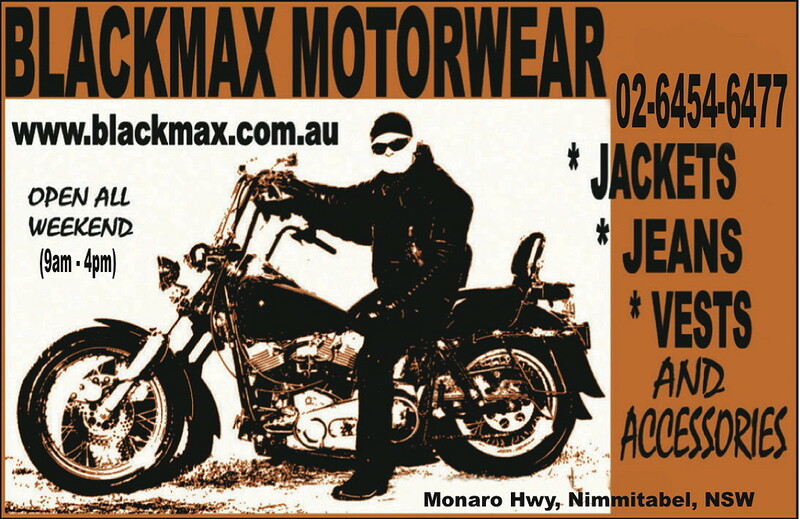 Harley-Davidson of Blacktown, 70 Sunnyholt Road, Blacktown NSW 2148; 02-9621-7776.